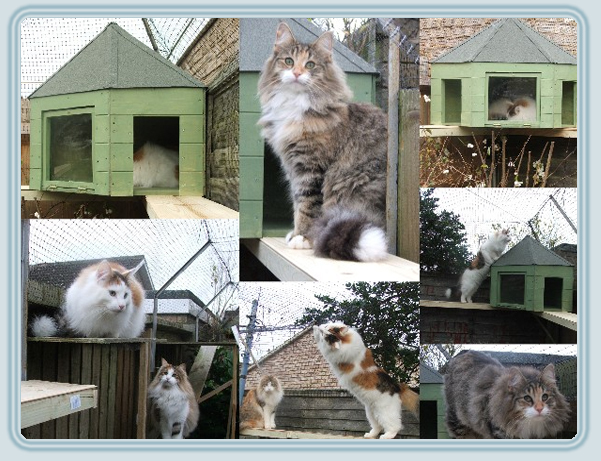 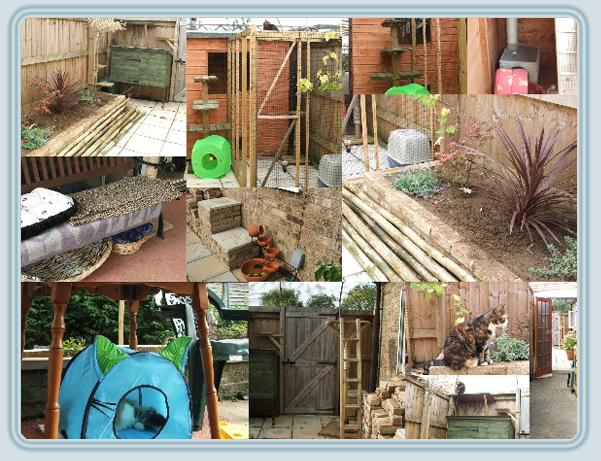 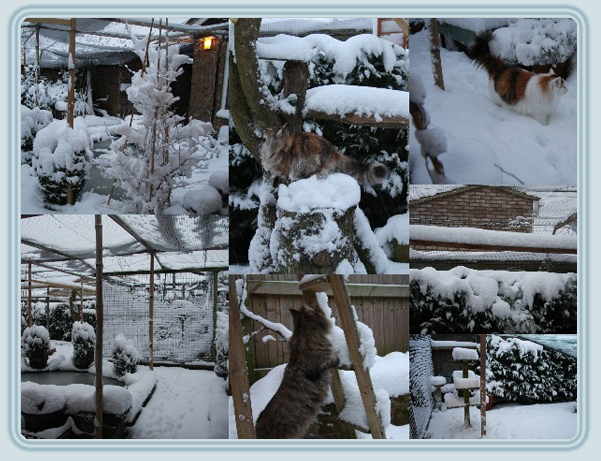 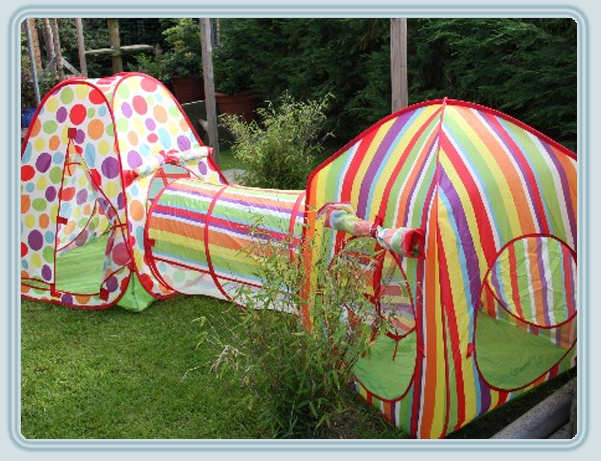 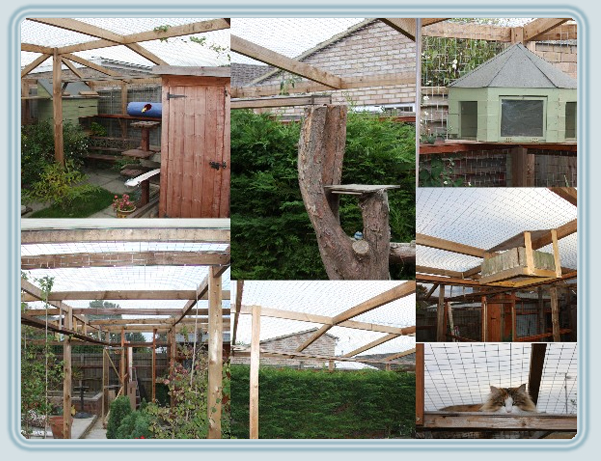 Here is our "Cat Garden" all built by Dave, where the cats spend hours and show how much they love it! 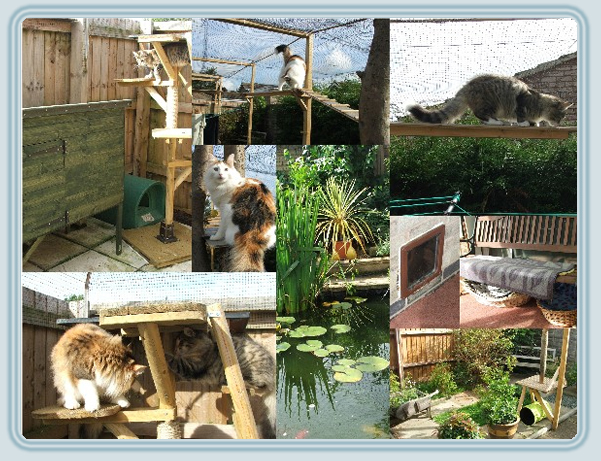 Dave has built for them a complete cat walk around the perimeter of the garden and they all love it!! 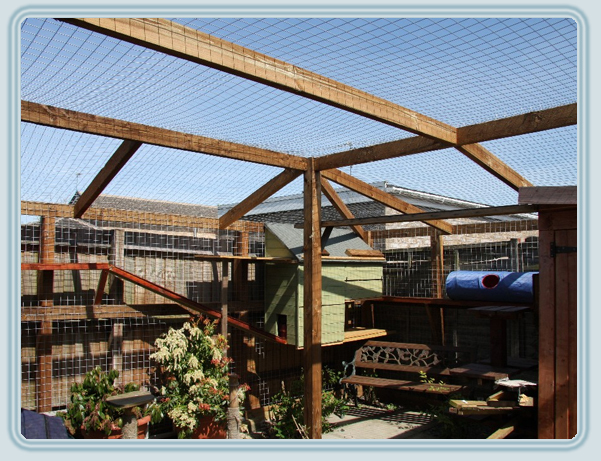 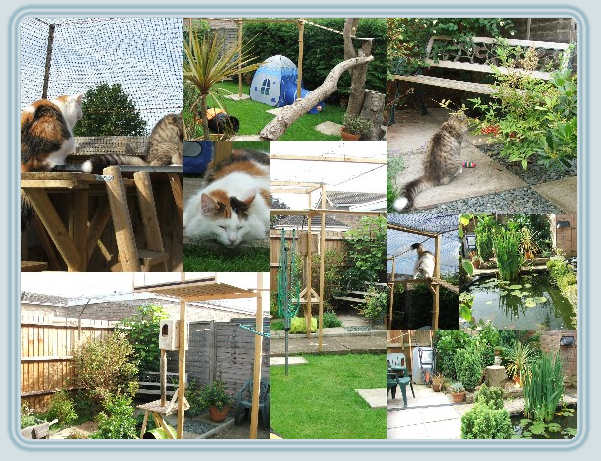 In April 2009 we change all the mesh and supports in our enclosed garden and remove the "bird cage" in the middle giving the cats some extra space and some new walks. 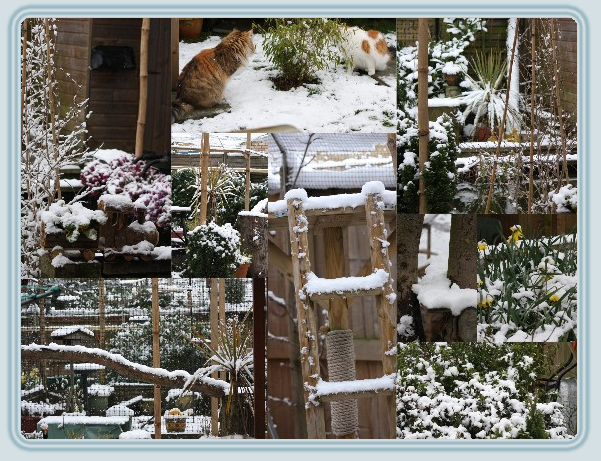 We are still working on it so I'll do some more pics later. 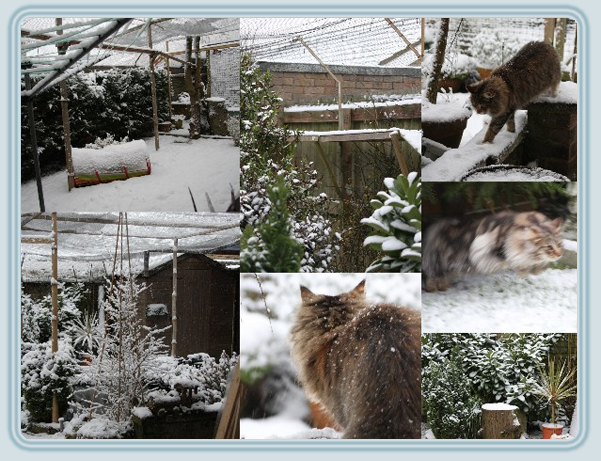 More pictures to follow when Clara gets busy with the camera!